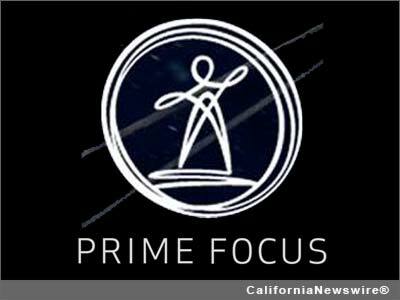 LOS ANGELES, Calif. /California Newswire/ — Prime Focus Technologies (PFT), the technology subsidiary of Prime Focus (BSE:532748) today announced that it has signed a definitive agreement to acquire DAX LLC, a leading provider of cloud-based production workflow and media asset management applications to the entertainment industry. PFT through its U.S. subsidiary will acquire all the assets of DAX for an upfront payment with balance payable over 3 years such that cash flows from the North American operations will support the payment. * Significant potential to monetize marquee customer base – Warner Bros. Television Studios, CBS Television Studios, 20th Century Fox Television Studios, Relativity Media, Legendary Pictures, Fox Television Studios, A&E, Showtime, Starz Media and Lionsgate. This acquisition gives PFT ownership of DAX's patented technology (US Patent No: 7,660,416/ 8,218,764) and products including the Primetime Emmy(R) award winning Digital Dailies solution which is the de-facto industry standard in television production. This acquisition also sets the course for PFT's strategic expansion in North America. PFT will significantly enhance the value proposition to DAX's marquee customers including major studios and broadcast networks (Warner Bros. Television Studios, CBS Television Studios, 20th Century Fox Television Studios, Legendary Pictures, Fox Television Studios, A&E, Showtime, Starz, Relativity Media and Lionsgate) and many independent production and distribution companies. "Our vision is to build the best enterprise platform for Production on the Cloud by taking a fresh look at media workflows through the lens of a studio that wants to efficiently collaborate across divisions with its entertainment content before, during and after the production phase," said Ramki Sankaranarayanan, Founder and CEO, PFT. "Digital Dailies is one of the first significant entry points to Production on the Cloud. PFT's CLEAR(TM) Media ERP platform combined with DAX's team and products will accelerate the realization of this vision." "PFT has tremendous resources at its disposal," said Patrick Macdonald-King, CEO, DAX who will now assume the role of President and be part of the executive leadership team at PFT responsible for North America. "Beginning with its 250-person strong R&D and product development team dedicated to a single platform with rare media-centric IT skills. This marriage allows DAX to fulfill its vision and extends DAX's support of file-based workflows across the enterprise. PFT's arsenal of media-centric technology tools will drive the DAX product offering to a new level. For DAX customers, it's important to note that all tech support, client services, product design and account management will remain in Los Angeles, but also expand to the PFT offices in New York and London to better service the East Coast and Europe." The global market for media asset management, workflow management, collaboration and media processing services is pegged at approximately $10 billion, according to an Ernst & Young survey. With content enterprises like broadcast networks faced with flat top lines (noted in an IBIS World Industry Report – Television Broadcasting in the US) and rising operating costs cited in Accenture's The Future of Broadcasting Issue III, organizations are increasingly attentive to solutions like virtualization of content supply chain operations, and media process outsourcing to enhance overall profitability as well as top line by realizing new media monetization opportunities in the multi-screen world. "PFT's CLEAR platform is the most scalable and feature rich application I have seen in the market and its laser like focus on servicing the media industry is unique," said Macdonald-King. "Most of the competition is focused on single point solutions that further cement the siloed approach which is detrimental to long term agility and sustainability of media businesses." The transaction is subject to customary closing conditions and is expected to close in the coming weeks. PFT and DAX will be exhibiting together at the upcoming NAB Show 2014, and will showcase a number of CLEAR and DAX product releases. "The biggest broadcast networks in the world run CLEAR Media ERP platform to manage their content supply chain," informs Ramki. "Managing 200 TV shows every day and over 350,000 hours of content has made CLEAR a world leader in the Media Cloud solutions market. We would like to extend this leadership to Production by tapping into the creative process in a more holistic way, empowering studios to truly transform the entertainment paradigm. DAX takes us closer to this goal," concluded Ramki. Prime Focus Technologies (PFT) is the technology arm of Prime Focus, the global leader in media and entertainment industry services. PFT brings together a unique blend of Media and IT skills backed by a deep understanding of the global media and entertainment industry. CLEAR(TM), our award-winning Hybrid Cloud technology enabled Media ERP platform and digital content services help broadcasters, studios, advertisers, sports bodies, news agencies, the government and service providers drive creative enablement, enhance ecosystem efficiencies & sustainability, reduce cost and realize new monetization opportunities. PFT works with major content owners like Bloomberg, Disney, Warner Bros., News Corporation-owned STAR TV, ZEE TV, EROS International, SONY Music, Viacom 18, SONY MSM, BCCI (Board of Control for Cricket in India), IPL (Indian Premiere League), Hindustan Unilever Limited, The Associated Press, A&E TV Network and Schawk! Prime Focus' worldwide network of studios and WorldSourcing(R) model supported by a Global Digital Pipeline allows PFT to offer customers transformational solutions that help them virtualize business processes around content and manage the business of content better. Prime Focus is listed on the NSE and BSE in India. For more information visit: http://www.primefocustechnologies.com/ . DAX ( http://www.daxcloud.com / @daxplatform) is the provider of production workflow and media asset management applications and services to companies that produce, distribute and license audio-visual content. The DAX platform, including Emmy(R) Award-winning Digital Dailies(R), is a highly-secure innovative web-based application used by most major studios and television networks for collaboration and distribution management of content during the production process, and for marketing and distribution of final product and library assets. The company is based in Culver City, California, close to the major Hollywood studios and networks it services, as well as serving Canada's media industry, and its clientele shooting in Canada, from its Toronto office.